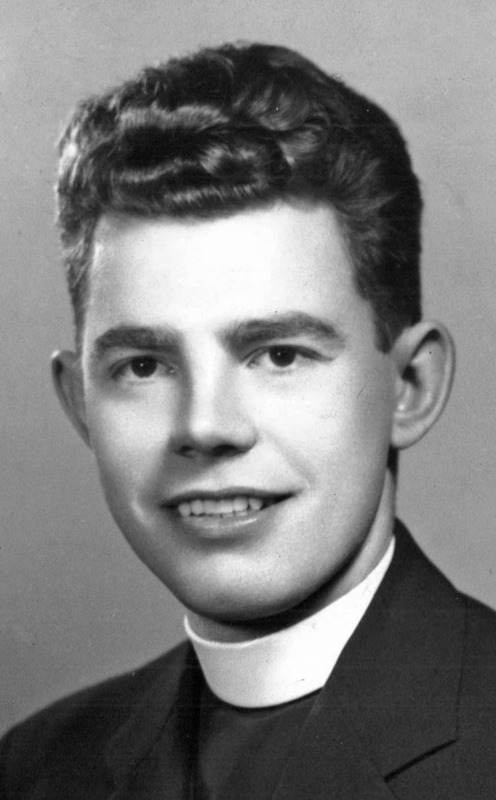 Bishop Martin Lohmuller at his 1944 ordination to priesthood. 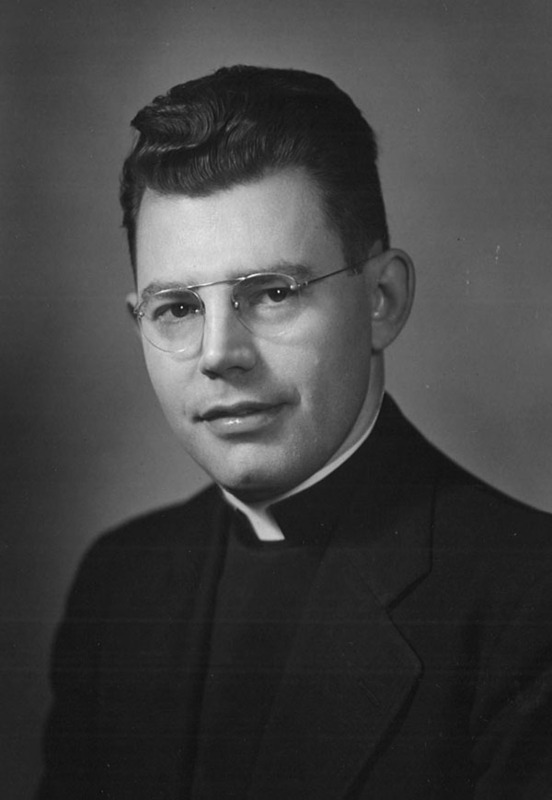 Father Lohmuller in a photo dated July 1957. 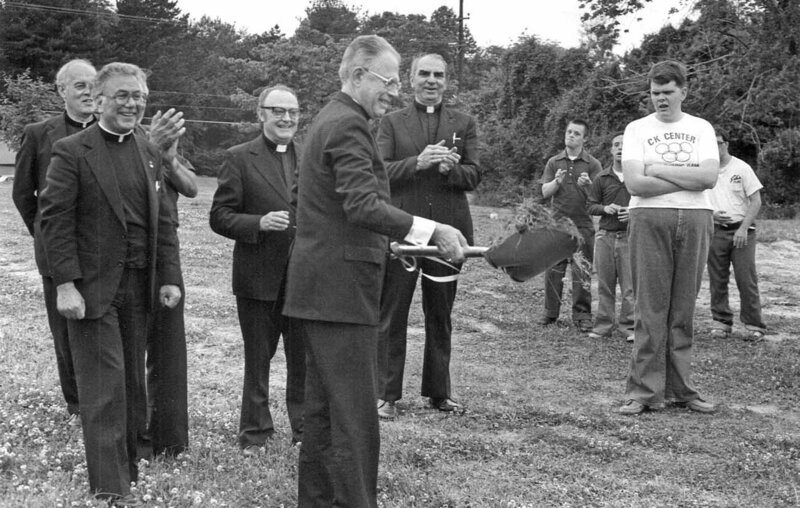 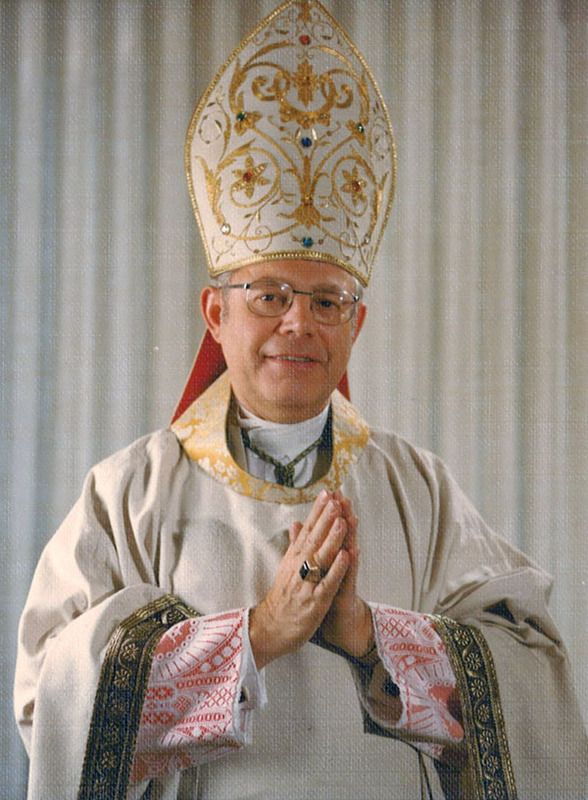 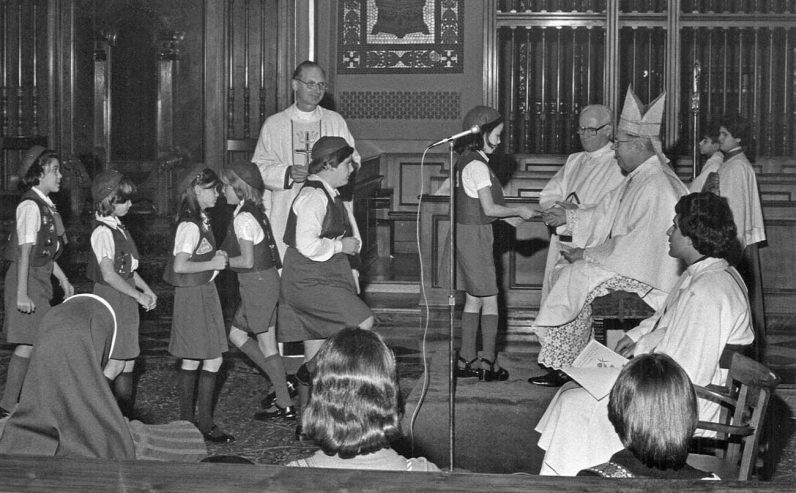 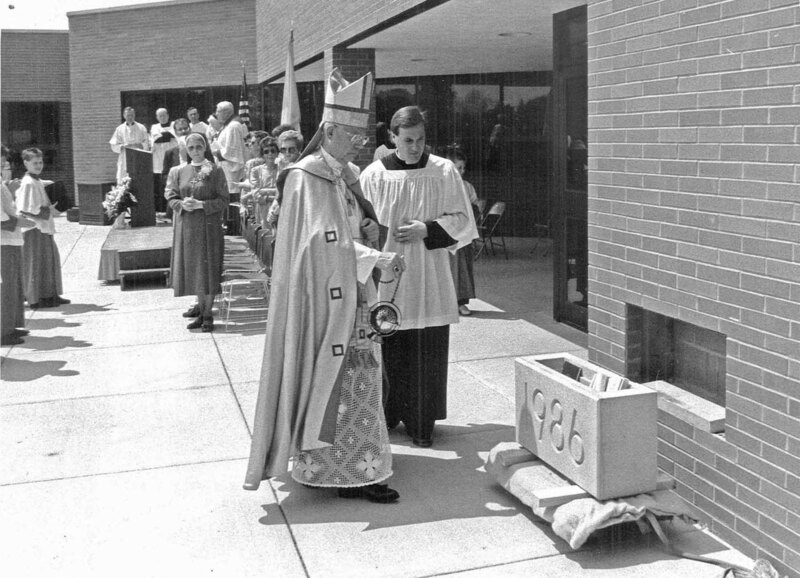 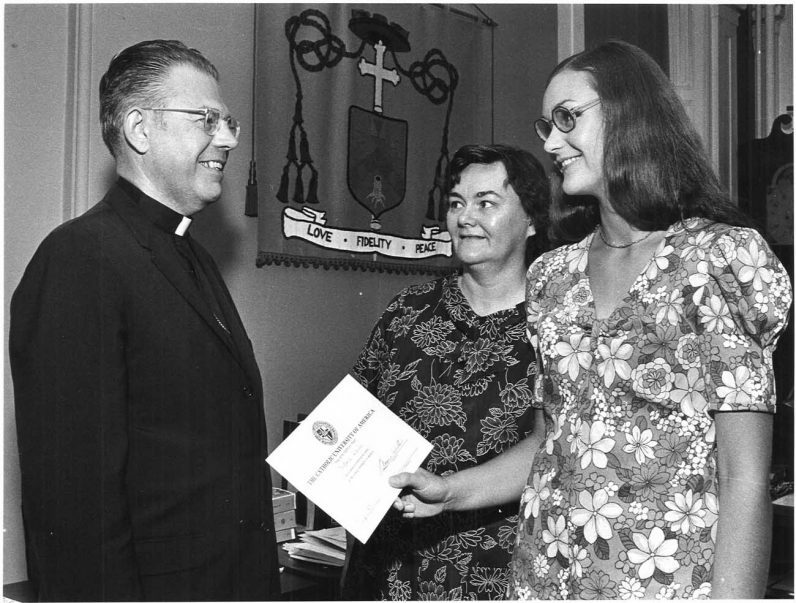 Auxiliary Bishop Martin Lohmuller after his 1970 ordination as bishop. 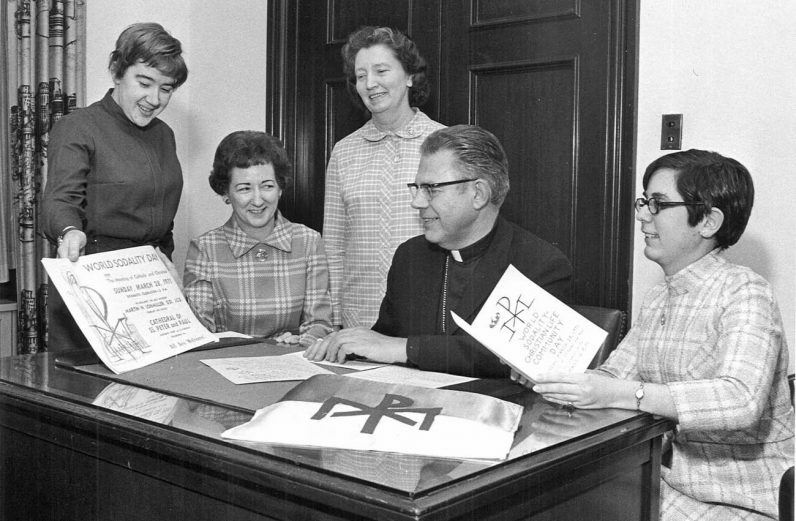 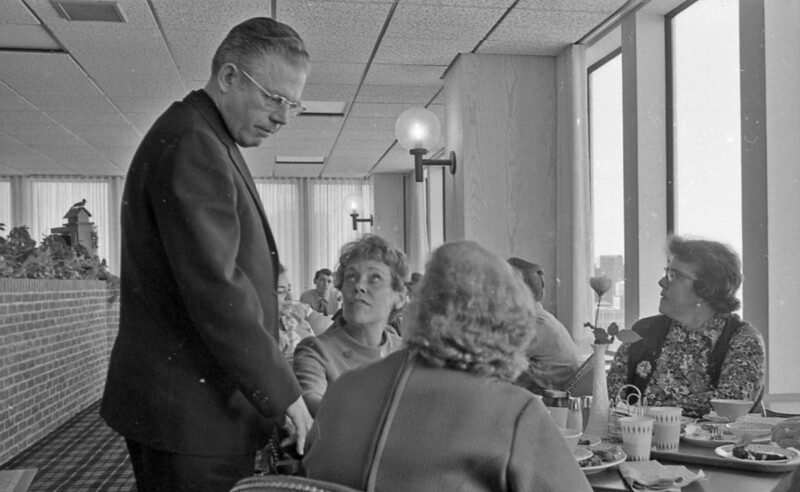 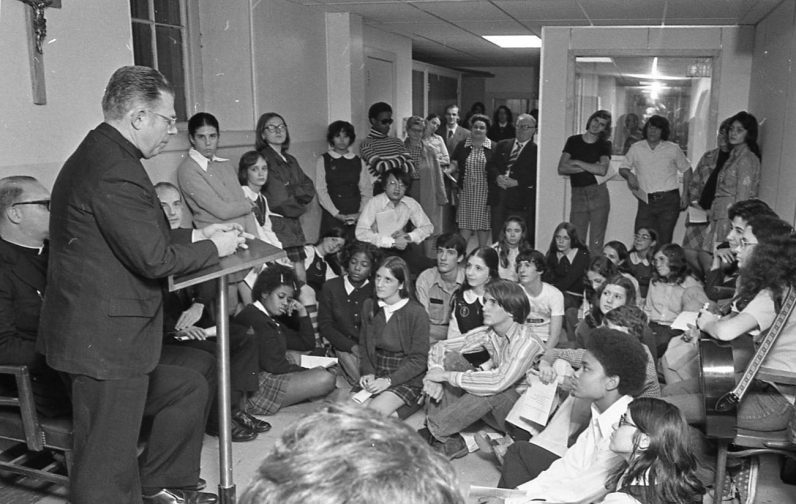 Bishop Martin N. Lohmuller reviews plans with staff for World Sodality Day in the Archdiocese of Philadelphia in February 1971. (Photo from the Robert and Theresa Halvey Photograph Collection at the Philadelphia Archdiocesan Historical Research Center). 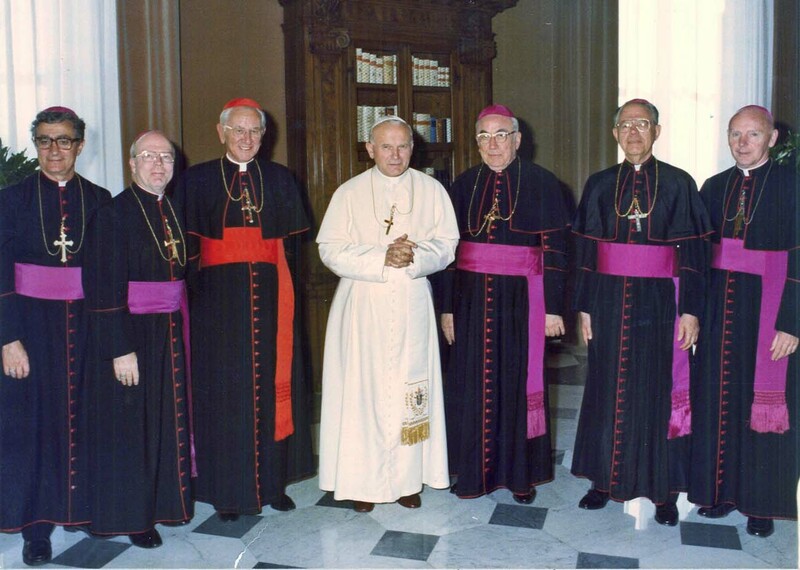 Pope John Paul II, now a saint, stands with Cardinal John Krol and the bishops of Philadelphia in October 1979, including Bishop Lohmuller, second from right.